Because every week is sandwich week, really. This recipe works best with some nicely staled challah - we get ours from Costco. Don’t make any plans to do anything for at least a few hours afterwards. 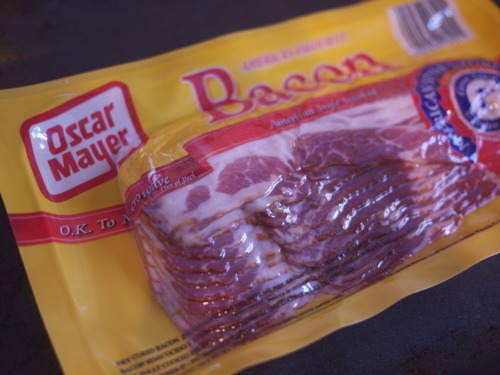 Preheat the oven and throw the bacon in on a baking tray. Beat the eggs, milk and cream together lightly. Add in a good dash of cinnamon and the vanilla extract. 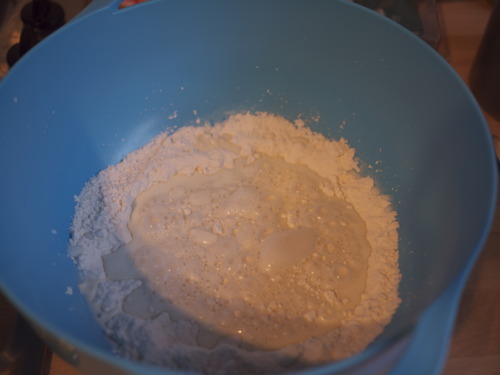 Pour the mixture in to a flat bottomed dish. 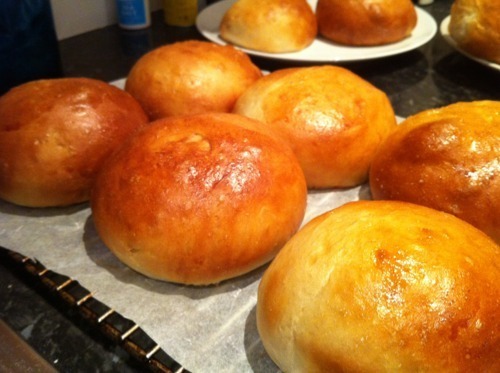 Halve your rolls and submerge them into the dish for a minute, flip and then do the other side too. 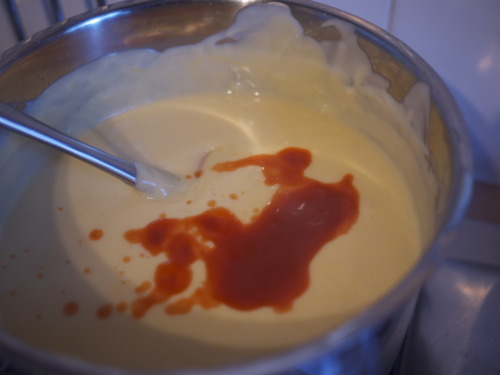 Try to get as good a covering as you can so the mixture has really soaked in. 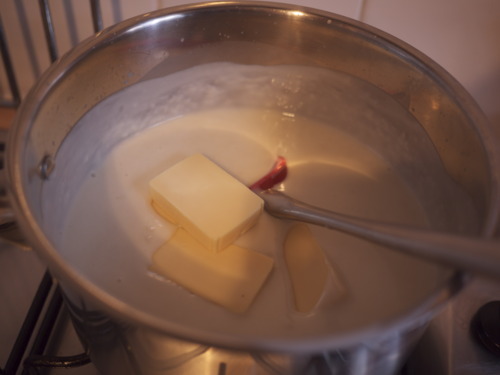 Melt a healthy knob of butter in your favourite pan. Batch fry the toast, making sure the pan doesn’t get too hot and brown the butter too much. 2-3 minutes per side should do it but you can flip pretty regularly. Keep going until they’re a pleasing golden brown. Once the toast is cooked, let them cool a little and then add a healthy dollop of peanut butter. Smooth works best with this recipe since it’ll melt quickly and is easier to spread without ruining the finish of your toast. The bacon should nicely crisp by this stage - wipe off any excess grease with some kitchen towel, snap them in two and put them on top of one half. Apply the top half, add a liberal dose of maple syrup, a cursory handful of blueberries on the side and sieve a layer of icing sugar on top. Cancel your plans for the rest of the day. 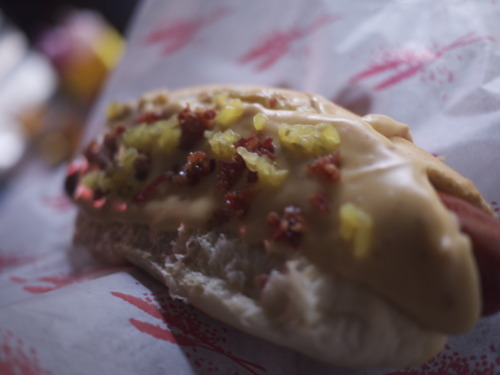 Last weekend, we defeated rain and spread happiness throughout Brick Lane with Hot Dog hero Big Apple Hot Dogs as part of his quasi-competitive food blogger meetup #BlogEATBlog. We didn’t think it would be worthwhile doing anything too subtle or off-brand, so here’s our down and dirty entry. 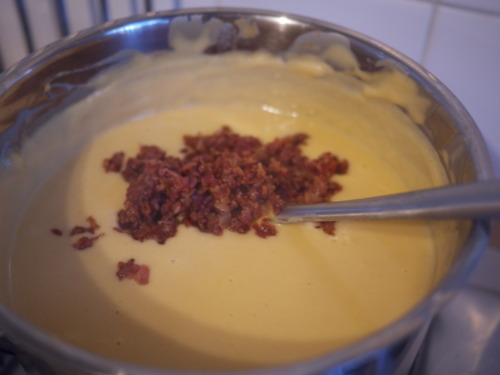 It’s a four element topping: cheese sauce with bacon, an In-n-Out style ‘Animal’ sauce, chopped pickle and bacon crumbs. Here’s the recipe for the cheese bit. 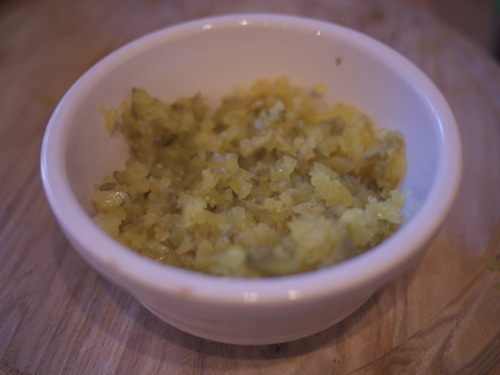 The end result looked like this on the day, so here’s the recipe so you too can make it at home. It goes great with nachos. This makes about 1.5 litres. Which is way more than you probably want. 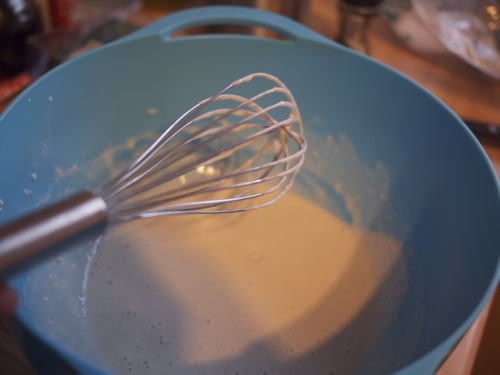 Lob six tablespoons of flour and a cup of milk into a bowl and mix until smooth. Lumpy sauce is bogus. 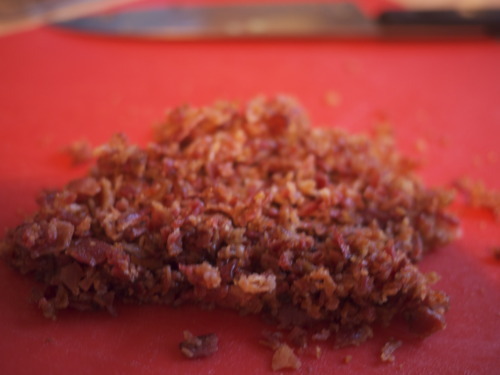 Take your bacon, lay it on baking tray and bung that in a preheated oven at about 180-200 degrees. Lowish and slowish, since we’re after crispness here folks. 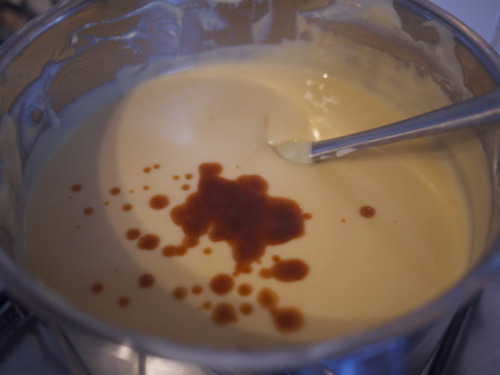 While the bacon is crisping, put the flour and milk mixture into a saucepan and bring it up to a gentle simmer. 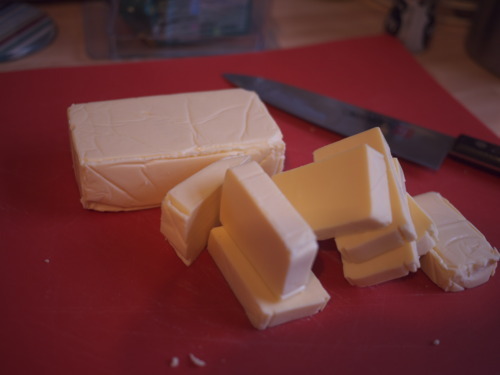 While it’s coming up to temperature, chop your Kraft block into nice manageable chunks. 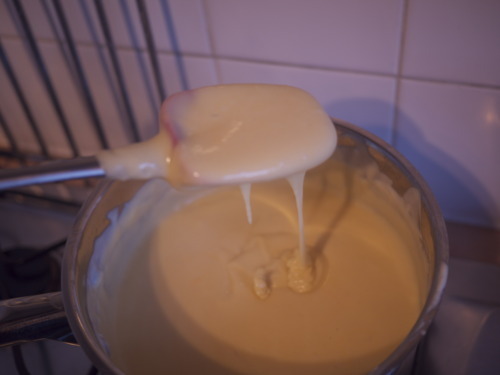 When the flour and milk have combined into a nice runny sauce, drop the cheese in. It’s best to introduce it in batches. Remember, Kraft is not real cheese, so it will melt slowly. Don’t turn the heat up, keep it low and slow. 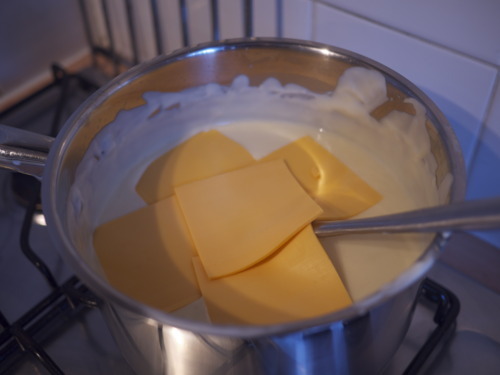 Once the Kraft has disintegrated, throw your American cheese slices in. They’ll melt much quicker and change the mixture colour in a most pleasing way. Now, grab your two best friends. Generously apply Frank’s first. Mix well and check flavour. Frank’s adds salt, flavour and colour. So this is up to you. 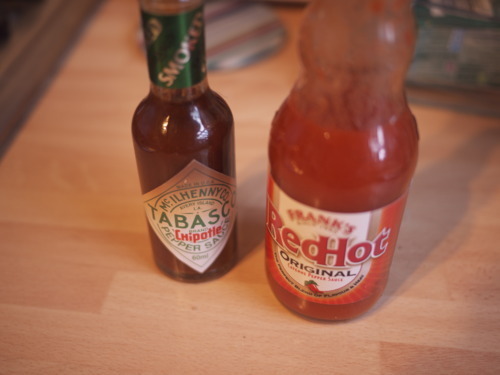 Do exactly the same with your Tabasco. Dice your pickles, then dice your bacon (which you should take out the oven about now). 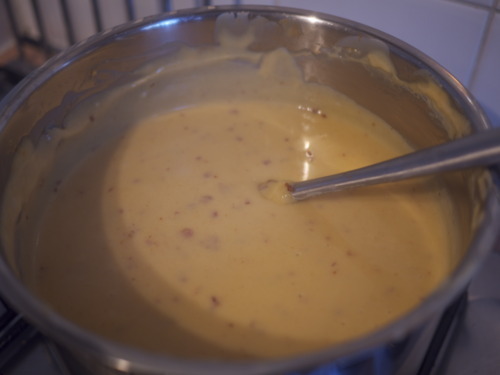 Introduce half of your bacon into the cheese sauce. Mix it all up and you’re done! 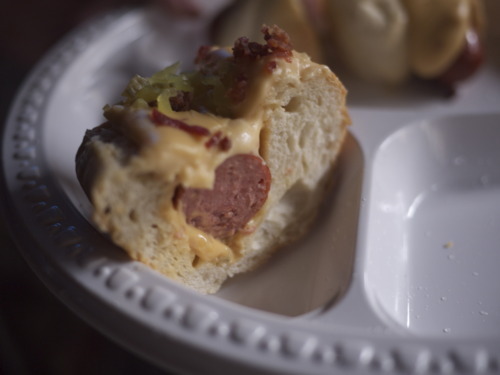 To make the dog, line the bun with animal sauce, insert your frank, dollop a healthy amount of cheese sauce on top and finish with the diced pickle and bacon.